Please note that these factsheets are for the 2017 report card. The 2018 Regional Factsheets will be developed in the coming months. Looking for easily-accessible facts specific to your region to present and share with your communities? 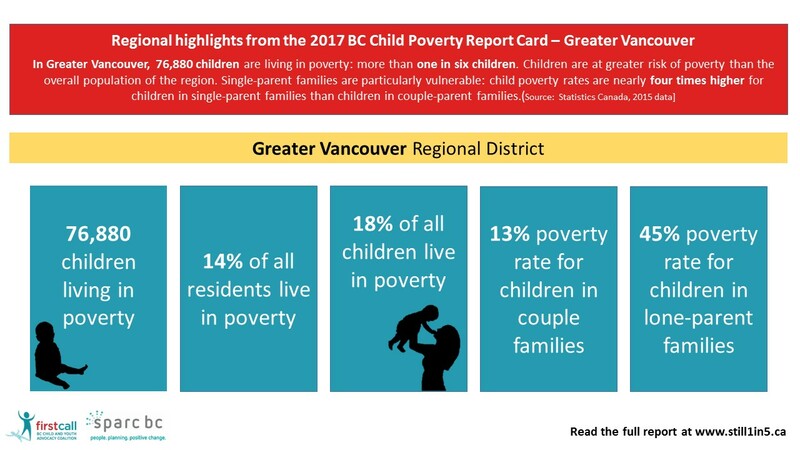 We have pulled data from our 2017 Child Poverty Report Card to create Regional Factsheets that are shareable in .pdf and .ppt files and can be downloaded below. Special thanks to Laure Spake for her work in the early stages of this project. 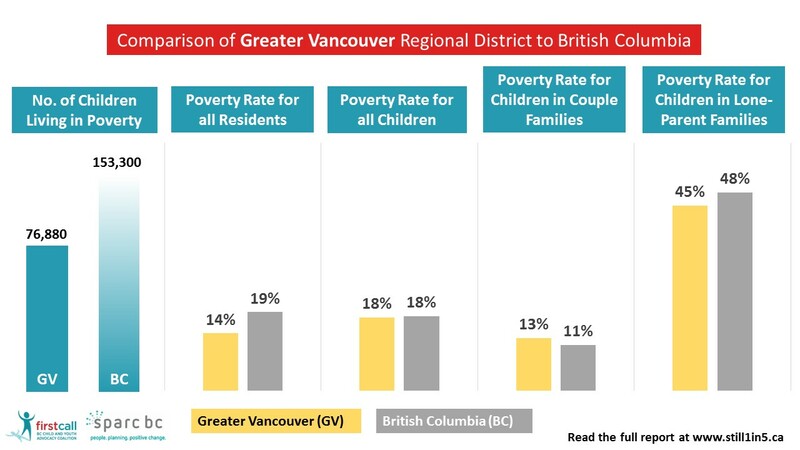 Page Two includes graphs comparing the data from your region to British Columbia-wide data. We invite you to download and share the Factsheets as needed. Please contact us with any questions.